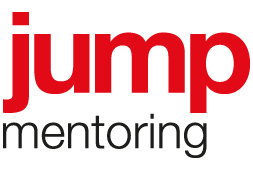 An Australia Council for the Arts initiative, the JUMP Mentoring program aims to make a positive impact on the early stages of a creative practitioner’s career, help them gain networks, be inspired and exchange ideas while working on an applied mentorship with a mentor who helps them jump to the next level. In 2014, Philip Channells (Creative Director of Dance Integrated Australia) will mentor ex-Bangarra dancer, Katina Olsen. They met at Bundanon Trust where they were both working on Bundanon Local Projects, Transmit and No Time Like Now. They will travel together to Trondheim/Sør-Trøndelag, Norway in March 2014 to develop a new community dance performance project called Perfect (im)Perfections for the biannual Multiplié Dansefestival. Two local dance companies based in Trondheim, Danselaboratoriet and Danseteateret 55+ will work together throughout this project. Both companies are attached to DansiT – Senter for Dansekunst i Sør-Trøndelag, which is a resource center for theatrical dance in Trondheim and Trøndelag in Norway. As a major centre for regional dance, DansiT manages and operates production facilities for dancing on Svartlamon. DansiT organize training for professional dancers as well as holding workshops and seminars for dance artists, residence for visiting choreographers and companies and organizes among other Åpen Scene for Dans and the Multiplié Dansefestival. The creative process has begun remotely through digital mediums including film and Skype and will be the sequel to Next of Kin – no ordinary status family which Channells directed for Adelaide’s Restless Dance Theatre (2010). Channells and Olsen will work with Arnfinn Killingtveit (musician/sound artist/performer) and Trond Wiger (rap-artist/writer/performer) in an exciting international collaboration. The JUMP program intensive begins in Melbourne 5 – 7 February 2014 at The Wheeler Centre. This is an opportunity for mentees and mentors to discuss the goals and inspirations of the mentorship and some of the practicalities of making the year a success. In addition to these facilitated sessions between mentors and mentees, the final day will commence with a Breakfast Club where a series of speakers are invited to incite discussion. There will be a keynote speech by performer, Paul Capsis. For Katina’s profile on the JUMP website, click here.